When I arrived at Benidorm bus station on that bus from Poitiers in the last days of August in 2010, I was met by Cait from the school where I was to begin teaching, and her husband Carl. They became very good friends and are still meeting newly arrived teachers for that school and making them welcome. 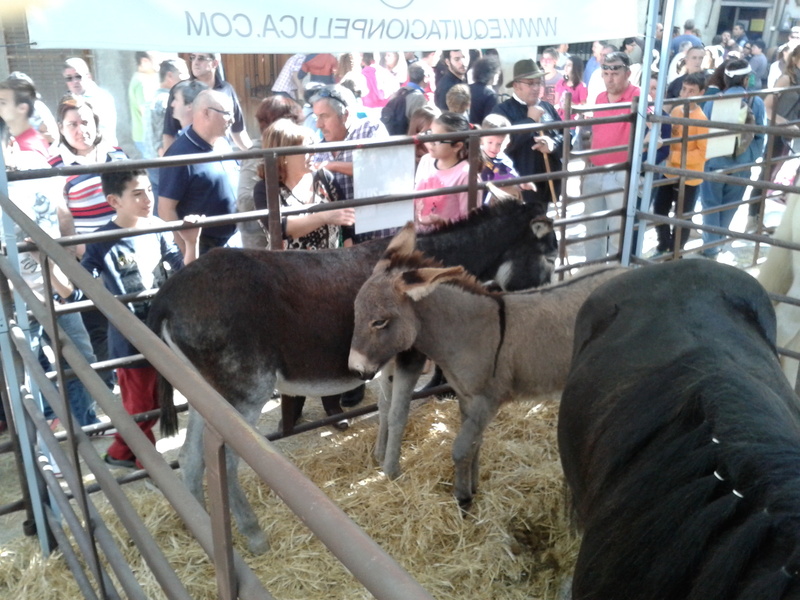 As I recounted on the old blog, I began looking for donkeys as soon as I arrived – in the last days of that August – even before I had begun my new job. When I went looking for a house to rent in the countryside near Finestrat, the field was more important than the house! Within a few days I had found a house and field with alfalfa! My plan for buying donkeys was very simple. It was modeled on Barbara’s donkey arrangement in France: I would look for a large walking donkey to carry a pack-saddle and a small donkey to be its home companion. 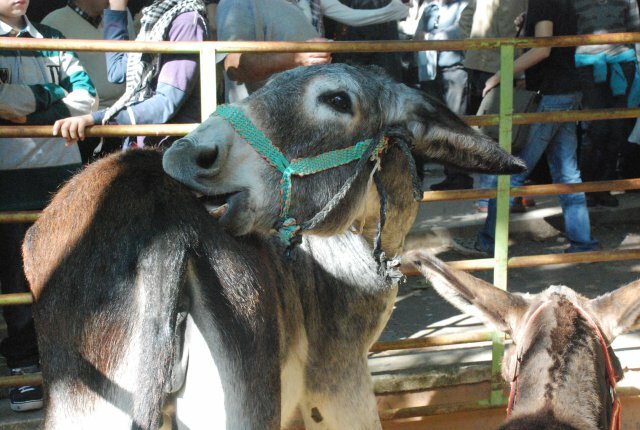 Donkeys are sociable creatures and should not be kept alone. At first, I began looking for an Andalusian donkey because this is the most endangered breed in Spain. There were some Andalusians in the Les Murtes donkey sanctuary in Jalón, a short distance from here across the Sierra Bernia. 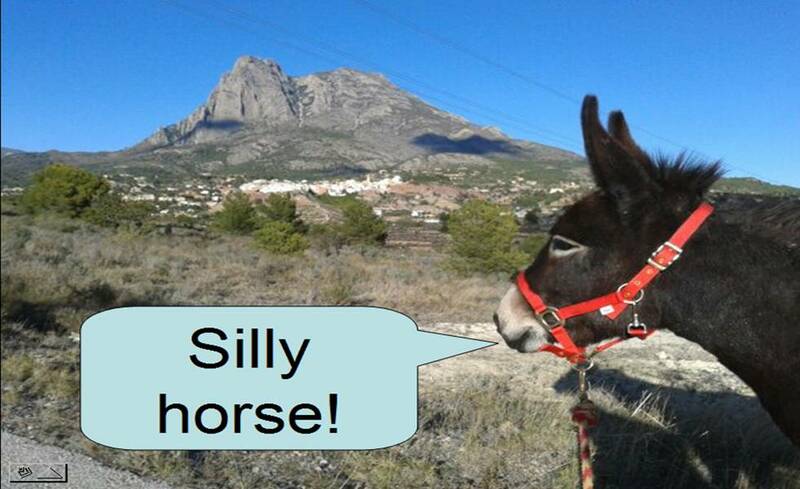 I went to explore the situation and found some Andalusians there, but there was no procedure for fostering donkeys, as is the case with the various Donkey Sanctuary centres in England, nor was it possible to buy donkeys there. Les Murtes is quite impressive. 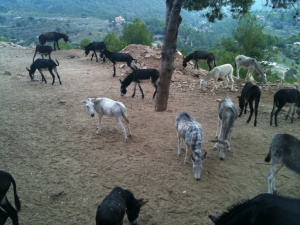 It is high up in the mountains near to the village of Jalón and the herd of donkeys was very inspiring. I spent the day there, one Saturday after I had started my new teaching job. There is a restaurant with a terrace and a fine view across the mountains towards the Mediterranean Sea. On a clear day you can see Ibiza. Alex who runs the sanctuary is German and neither his Spanish nor his English seemed to really connect with mine. I did not get the impression he understood that I was serious about buying donkeys. He seemed to think it the momentary enthusiasm of someone who was just passing by and had just been overwhelmed by the sight of eighty donkeys! I needed to find somewhere that my quest would be taken seriously. It was in a bar that I learned from a local farmer about Cocentaina market. “If you want to buy donkeys, there is one place to go! All Saints fair in Cocentaina.” I asked a few other locals and all confirmed that Cocentaina All Saints fair was the place to go and buy animals. Cocentaina has been a continuous agricultural fair since medieval times, only interrupted in the 1930s by the Spanish Civil War, and is one of the last surviving agricultural fairs in the region. I still had no car in those days, so a week before the fair I booked a hire car from Gold Cars in Benidorm. On the Saturday of the fair I went to Benidorm on my bicycle and Gold Cars told me they didn’t have the small car I had booked, so I would have to have one twice the size, with twice the fuel capacity, and pay for a full tank of fuel. It was the worst deal I had ever heard of in a country where car hire is very cheap. I cancelled the car and did not get to the market that year. I have been since, and the photos above were taken in 2011 and 2013. It was very fitting that my long fight for justice from an incompetent agency of the British state finally came to an end at this time. I was offered a paltry sum of five hundred pounds by the CRB, who admitted seven mistakes in the processing of my paperwork which had meant I could not work as a teacher in England until the matter was cleared up. My union representative (National Union of Teachers) did not challenge this, and in fact couldn’t even name anyone in the CRB that she was dealing with! I decided that the five hundred pounds would pay for my donkeys and that would be a most perfect end to the matter! Now I was ready to buy donkeys. How I met and bought Rubí is narrated here on the blog archive, followed by how I met and bought Matilde shortly afterwards.